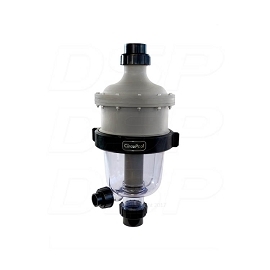 The CircuPool CJ-120 Cartridge Filter is compact, dependable, and convenient, providing 120 sq ft of filtration surface area. 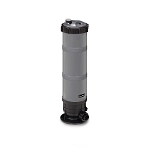 The CJ-120 will handle pools up to 15,000 gallons by itself - and when teamed up with the CircuPool TJ-16 Typhoon Pre-Filter, will handle up to 24,000 gallons. With only a 9 waist, the CJ-120 fits easily in tight spaces. 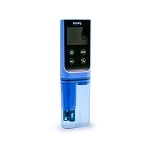 Best of all, sparkling, crystal-clear water is virtually guaranteed. Had to put this in a very tight area between my pump and heater. The fittings are not flexible so I had to redo the install. I have a small pool around 7k gallons. I was needing a filter for a good price. My maintenance guy recommended this unit and I am very pleased. Great pricing and quick delivery!!!! Good filter. 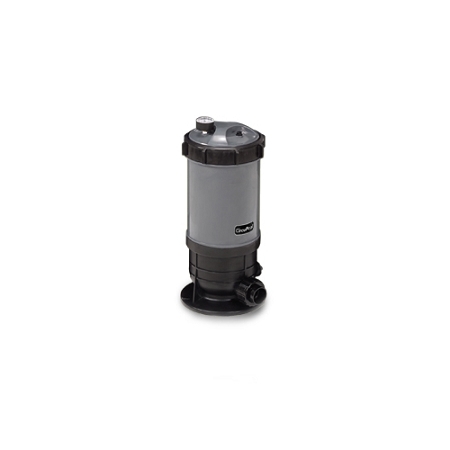 Puts minimal back pressure on the water flow, works well with my variable pump. Nice and compact size, which made it easy fitting on my equipment pad. Great! Arrived on time, everything was included. 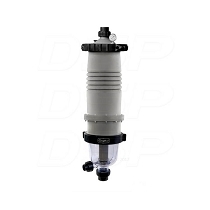 The filter does the job, and the design makes it simple to check. 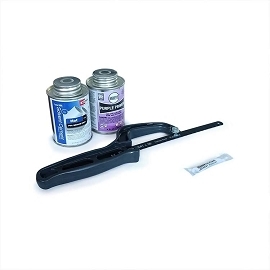 Q: How often does the cartridge have to be cleaned and replaced? A: That will strictly depend on your pool circulation and the amount of debris that gets in your pool. 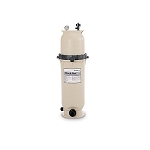 On average, if you've never had a cartridge filter before, and it is appropriately sized for your pool, it is often a matter of months. 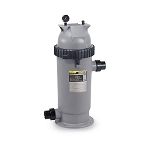 If your pool is prone to more leaves, dirt, etc..., go for a larger capacity filter so it will extend the time it takes to fill up the filter.